On the Royal Mile, Edinburgh, lies the Heart of Midlothian. 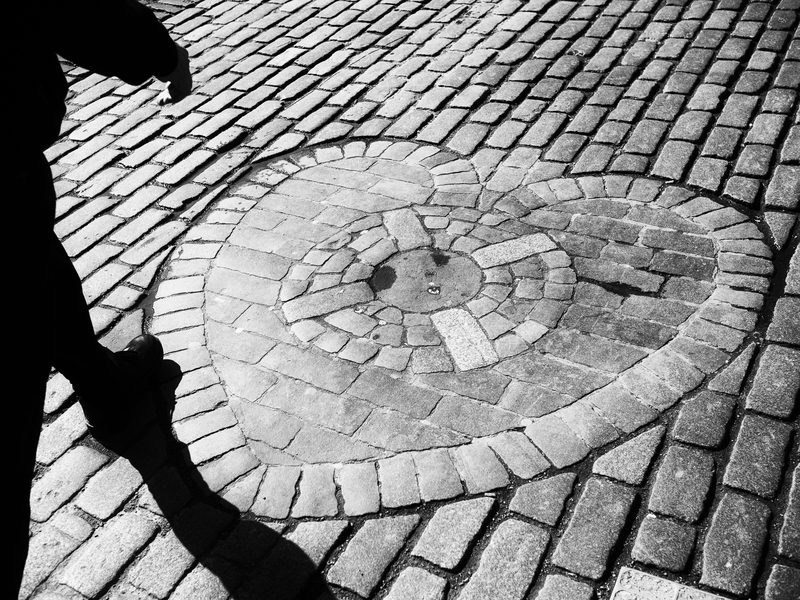 Visitors to Edinburgh will often notice people spitting on the Heart. A tolbooth (prison) stood on the site, where executions used to take place. The heart marks its doorway: the point of public execution. Some people spit on the Heart. Although it now said to be done for good luck, it was originally done as a sign of disdain for the former prison. The spot lay directly outside the prison entrance, so the custom may have been begun by debtors on their release. Great image. Love the shadow cast by the passerby. I suppose spitting on it for good luck could be viewed as saying “there but for the grace of God go I”. This heart is a very thoughtful gesture.